1. Why was 'Chaka's World' created when Chaka already has an official site ? my work on various websites is simply a special hobby that I enjoy. 2. Does Chaka approve of this website ? 3. Does Chaka or her company fund this website ? 4. Can you help me get a demo (or music) to Chaka ? 5. Does Chaka know about this website & what does she think ? 6. Do you know Chaka Khan ? 7. Does Chaka Khan have an 'Official' fan club ? 8. 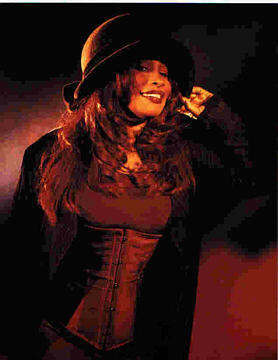 Will Chaka be performing in my city or can she do private engagements ? 9. 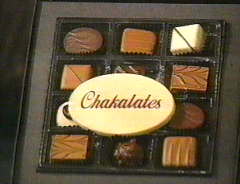 Where can I buy those 'Chakalates' ? (I don't know if the tasty Chakalates are still being made. 10. What happened to Chaka's Sister Taka Boom ? 11. What's up with Chaka's reunion with Rufus ? 12. Did Vesta provide background vocals for Chaka? 13. Why doesn't Chaka have a Star on the Hollywood Walk Of Fame ? 14. How Can I Support This Website ? 15. How can I get some of that rare Chaka music in your collection ? (You can visit Ebay.com, Gemm.com, Wilco's Site, or contact us via E-mail. 16. When is Chaka's new CD coming out ? 17. Why was I denied membership in the 'Chaka's World MSN Group' ? to tell us something about yourself, and why you'd like to join us. webmaster via E-mail. Thanks for your support! DARE TO BE A CHAKAHOLIC! !